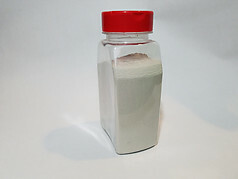 The original worm food with over 30 years of research and testing supporting it. Magic ?Worm Food contains the right combination of 32 different proteins, fats, minerals, vitamins, and carbohydrates all essential to a worm's proper feeding. After a couple of weeks the food value of all beddings will be diminished and food needs to be added. 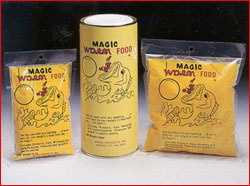 Try Magic ?Worm Food on your lawn and garden, too. By scattering worm food on all your soil you can increase the earthworm population for bait and improve the soil. This food comes in a 12 ounce bag as shown in the picture. ?This is a great food for night crawlers, red worms and European Night Crawlers.